“It’s a challenge. They’ve overcome it on ‘Scandal.’ They’ve overcome it very well, I understand,” Zabel told BuzzSugar. Interestingly in an interview with TVLine, Shonda responded to Zabel’s statement and said that “Scandal” in no way condones adultery. “I don’t feel like we’re making adultery acceptable. We weren’t setting out to make adultery OK. To me it’s not about adultery or not adultery. We’re telling the story of these two characters who very specifically have this kind of relationship […] we tell all sides,” Shonda said. “So while there are times when you’re like, ‘Fitz and Liv are wonderful and I want them to be together,’ there are also times you think, ‘Fitz is scum and he shouldn’t be cheating on his wife.’ And there are times you think, ‘Olivia should go off and find herself somebody who’s single,’ ” she continued. She feels that the debate surrounding the morality of Fitz and Olivia’s choices is what fuels the show. The 43-year-old producer closed by letting viewers know that they’re in for quite a ride, as season three promises many twists and turns. 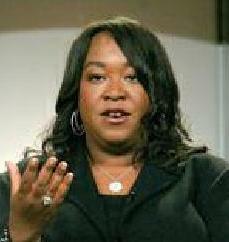 Shonda Rhimes, thank you for the entertainment. You are a special talent. 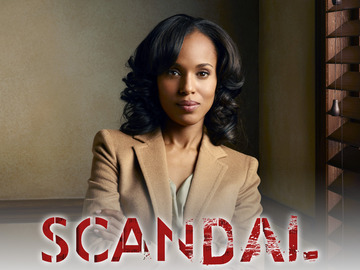 I agree with you Scandal is about so much more than adultery. It is pure entertainment. I will be glued to my TV screen or my DVR, as the case may be. I love it… my guilty pleasure! One of the many factors that make “Scandal” entertaining is that the characters are not always likeable and do not make morally correct decisions. I don’t see the show as condoning adultery, but showing that there are consequences to every action and no winners. While Scandal is a good show, and Shondra is defending the show against controversy and criticism, this show is about adultery and how dysfunction the relationship between Olivia and Fitz is. No matter how much positive support and spin Shondra tries to sell, as well as the cast, there is not other way to sugarcoat this relationship as anything other than adultery. I’ve watched the show since day one, and have been left underwhelmed by this story and wondering why Olivia settles and is complacent when it comes to Fitz. Their relationship is unhealthy. Olivia is the President’s mistress and there is nothing romantic about it. After watching three episodes of this show, I lost interest. Women screwing other women’s husbands has gotten so old. Regardless of who the people are. And the other story lines bordered on being outlandish. Just boring. I was late to this party. I finally binged it on Netflix and I’m now on season 2, which is better than season 1 imo. It is an entertaining show, not on my favorites list, but definitely watchable. I am glad to hear the creator describe the relationship between the president and Olivia as “inexplicable.” I have been thinking this while watching. You only hear people keep saying how “amazing” Olivia Pope is, but you don’t really know why. With the extramarital relationship, it is never really established (at least to my satisfaction) why this guy is so ridiculously over the top for this lady. Maybe I missed it or something, but I haven’t really seen an explanation. The chemistry is okay, but his undying, unspeakable, throw-it-all-away obsession has not been well-established to me. That’s my biggest qualm. That said, it’s a good show and I’m glad I finally decided to watch.